by Karen O'Brien Archives - Art Matters! I am teaching in San Diego! San Diego, March 11-12, 2018.
it is a great place to get away, relax and make art. There is still time to enroll. Just click on this Way Art Yonder link and scroll down to my class. There is a handy link to register. You are in for a full weekend of creative ways to “unearth” and finish your own unique characters. I will be sharing a variety of approaches to create backgrounds that make it easy to find your characters and tell their stories. I will also cover ways to make great expressive faces – even if the thought of drawing a face makes you nervous! Where: Way Art Yonder Studio. When: March 11-12, 2018 from 10 am-4 pm Saturday and 10 am-3 pm on Sunday. Artful Gathering begins on June 6th! I would love for you to join me in my first Online class, through Artful Gathering. Class begins on June 6th, but registration is open until June 22nd. I will be available for live support during class. All registered students will be entered to win an original painting at the close of class on July 17. I hope you will consider joining me! I have added some new workshops at my studio in Grants Pass, Oregon. We will be diving in to expressive acrylic painting. 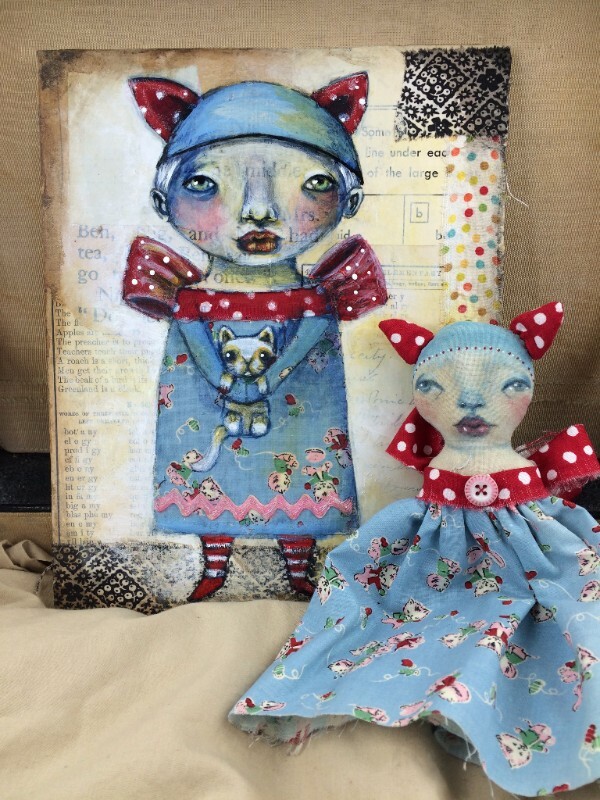 New Online Class with Karen O'Brien! In case you have not heard, I am teaching my first online course “Stuff of Dreams” in the Summer Session for Artful Gathering 2017. If you click on this link: Artful Gathering, it will take you to all the information on registration, the class description and a short video, which contains a slide show of my studio! Stuff of Dreams is jam packed with techniques including painting, faces, creating a pattern and doll making. I hope you will consider joining me! You can get the information on my blog. For those of you in the Pacific Northwest, I will be the featured artist for the month of May at Gallery One in Grants Pass Oregon. 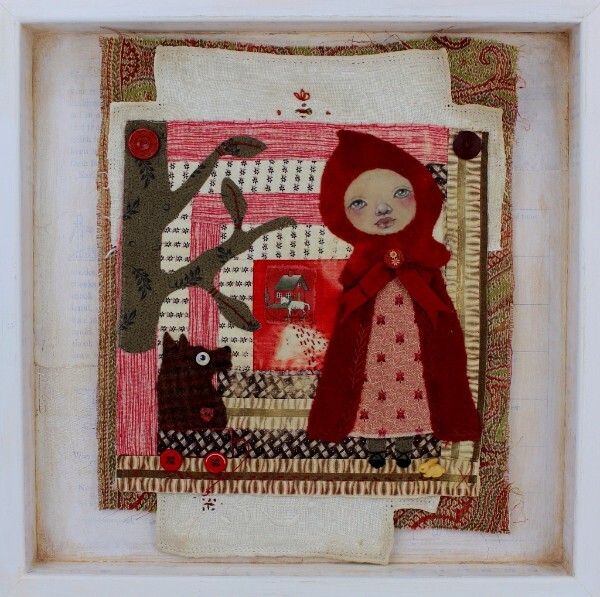 I have been doing a lot of mixed media fabric creations lately and my show includes paintings, art dolls and fabric collage pieces. I will also have a piece in the Firehouse Gallery in Grants Pass. “Wandering,” on the right, won first place at the Josephine County Artist Association Spring Show. September 23-24, 2017 I will be participating in the Grants Pass Museum of Art Open Studios event. I am also in the planning stages for some pop-up workshops at my studio. So stay tuned to my blog: karenobrien.blogspot.com and my Facebook Page for information.